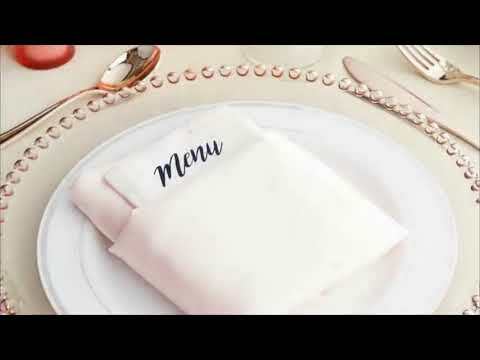 Create a stir at wedding receptions, formal catered events and anniversary dinners with the TigerChef Round Clear Beaded Rim Glass Charger Plate 13". 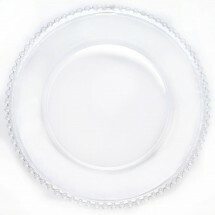 This charger plate boasts a crystal clear beaded rim bordering a clear round glass plate that will add subtle beauty and elegance to your tabletop decor, allowing the colors and patterns of your tablecloth break through. Use this decorative charger plate beneath bowls and plates to transition between meals as well as to protect the tabletops from spills and messes. This clear glass charger plate is a simple yet highly effective way to upgrade your food service style and add breathtaking elegance to first class dining.